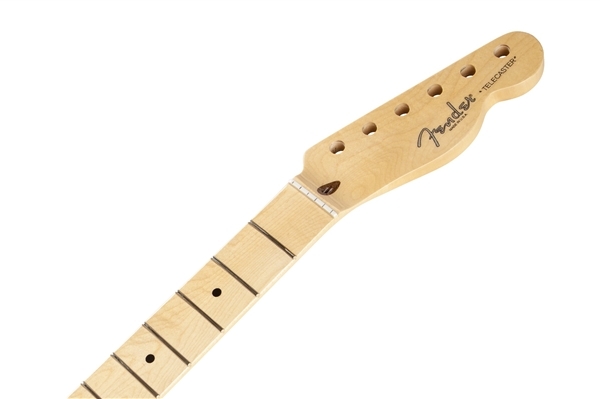 Fender replacement necks are made at Fender manufacturing facilities to the same specifications as those used on our instruments. 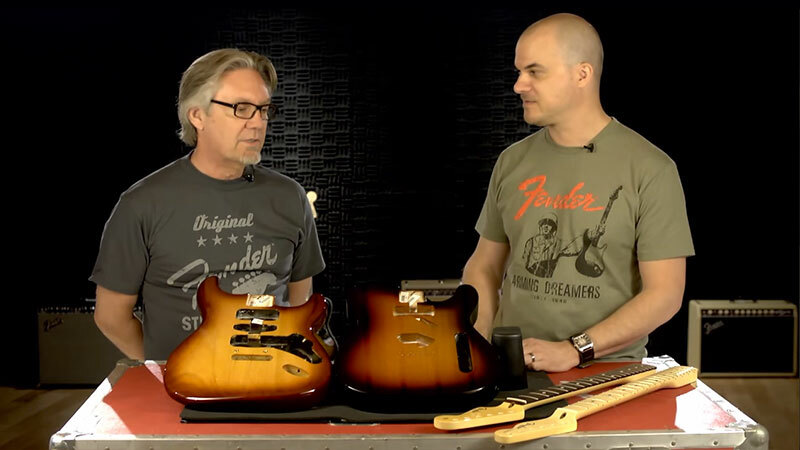 Contours, finishes, fret sizes and all other materials are designed and crafted in genuine Fender fashion. 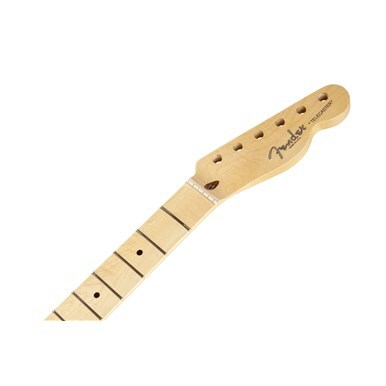 U.S.-made necks have detailed frets, satin finishes on the back, hand-rolled fingerboard edges and a slim "modern C" profile for comfortably smooth playability. The nut is pre-slotted with "pilot" string location grooves to make spacing a breeze when performing the final string slot filing. 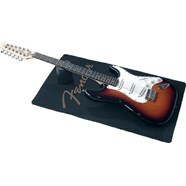 For true Fender authenticity, it's also serialized and stamped, with genuine "Made in U.S.A" headstock decal.